Carey's Castle. was occupied sometime prior to 1941 by a man named Carey. He lived at the castle prior to 1941 based on a collection of 1940 magazines inside the castle. There is the remains of a metal bed frame inside, along with some shelves, and a variety of artifacts dating from that era, inside and outside the Castle. 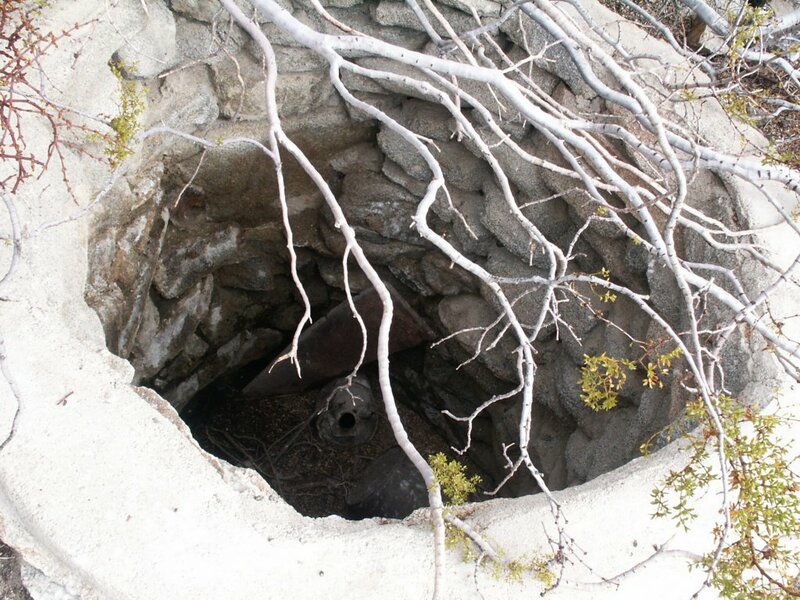 Carey Castle is near a vertical mine shaft less that 1/4 mile from the Castle. 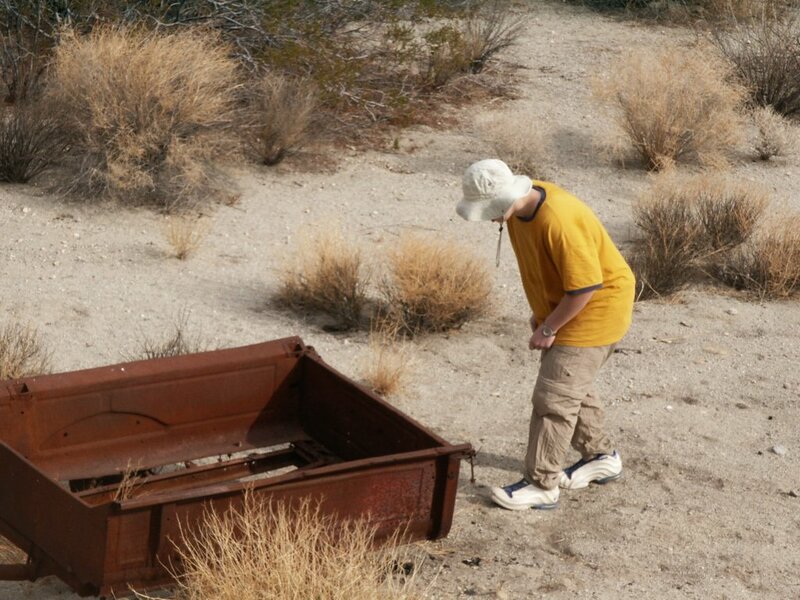 When I first visited the mine around 1990, there wasn't a steel grate covering it. 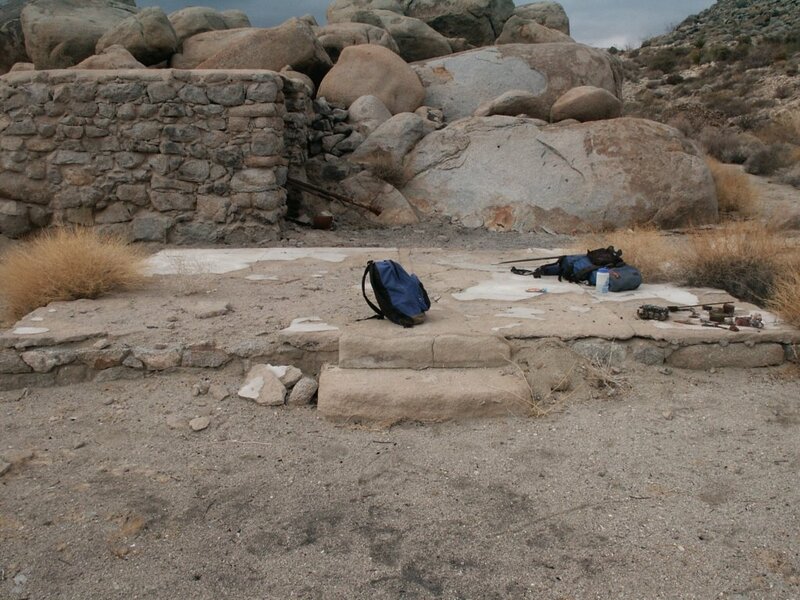 Since then, the NPS folks decided to cover the mine shaft, as they have covered most other mine shafts in Joshua Tree. There are two routes that I know of to get to Carey's Castle. 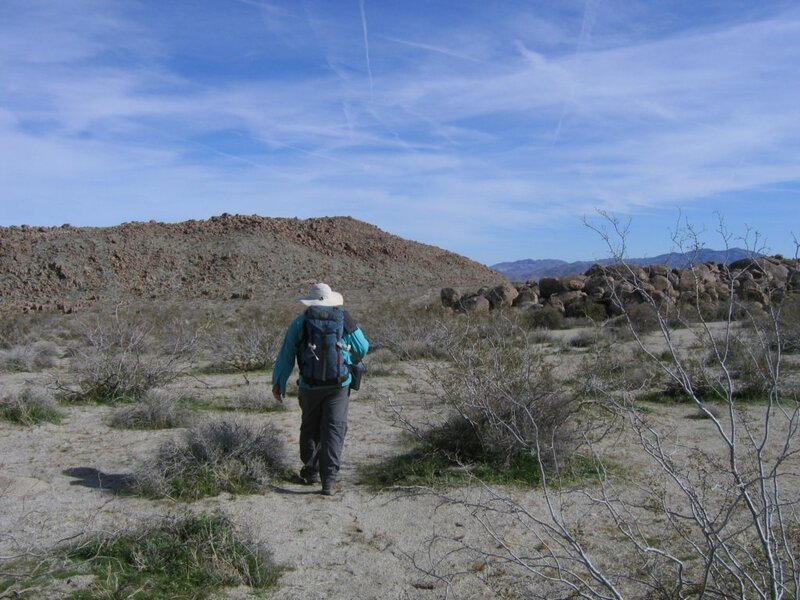 One involves following an intermittent stream bed for a while and involves some scrambling. The other is about twice as long, but is much flatter. Good navigation skills are required for both routes. 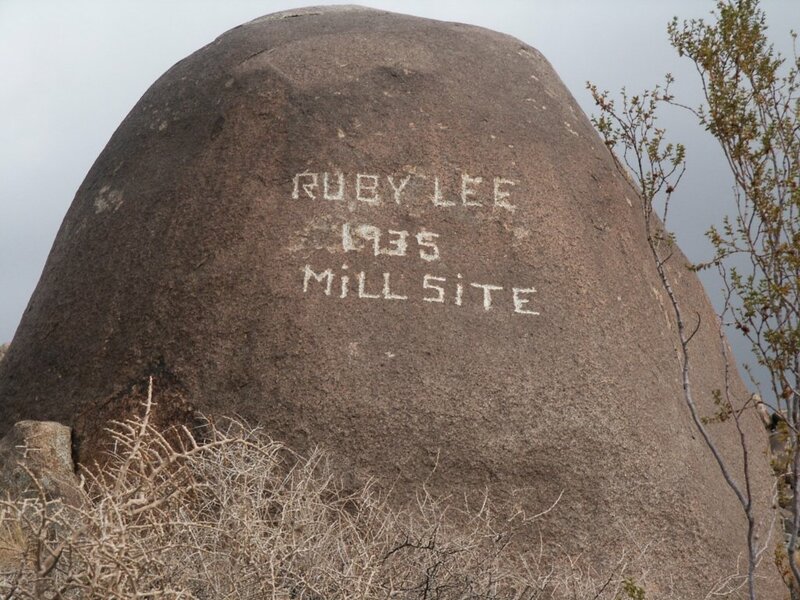 Ruby Lee is a mill site, that is a location where gold ore was processed. Not much remains of it except a foundation. 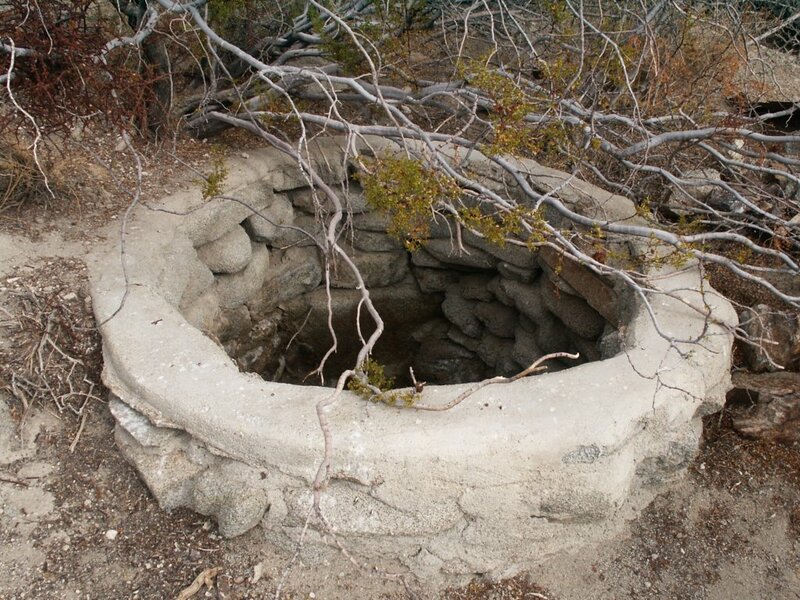 There is a dry well nearby as well as the remains of a small building at the mill, filled with artifacts. The hike starts out at the Porcupine Wash backcountry board, and follows an old 4wd drive road that is sometimes impossible to follow (hardest to follow in the wash). The road leads straight to the Mill Site. To hike out, I follow the road, which eventually curves to the left. 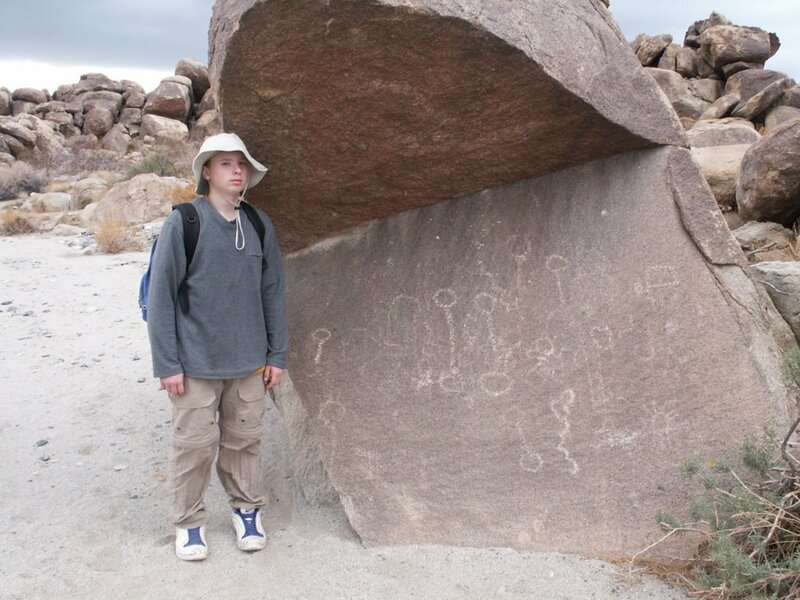 After a while, it continues up along a hillside, and into a canyon that feeds Porcupine Wash. I pick a spot, and drop into Porcupine Wash. The terrain is pretty mild. 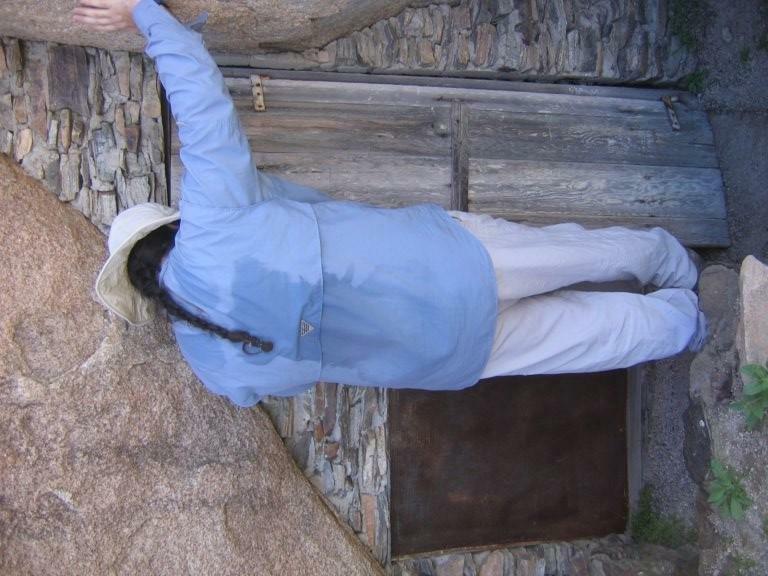 The only spot where you are likely to use your hands is dropping into the wash on the way back. 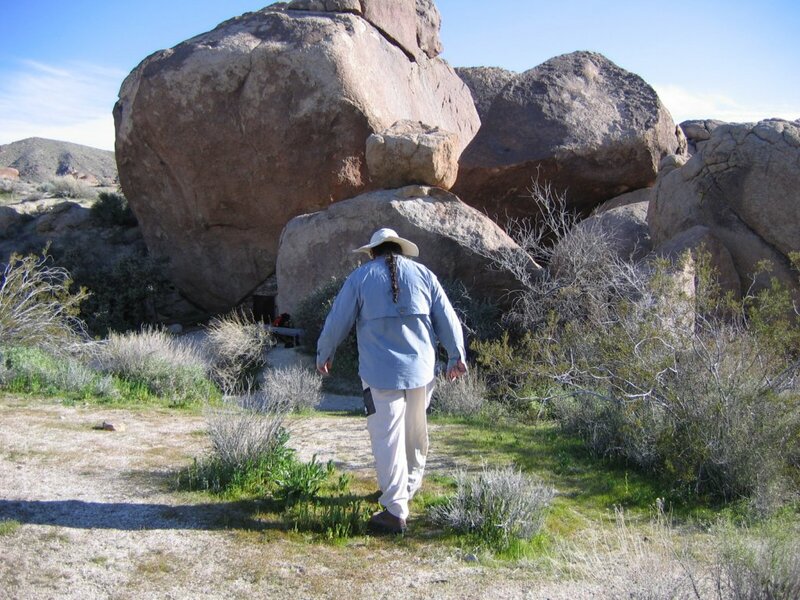 The hike out is via Porcupine Wash, which has a few boulders to negotiate. It is an easier hike than Carey's Castle.